There are numerous ways in promoting goods and services. It could be through radio or TV advertisement, newspapers, billboards and etc. But one the new and effective promotional tool would be screen printed T-shirts. Screen printed T-Shirts are widely used nowadays around the globe. They are used by countless corporations, small and large businesses, schools and other organizations to promote their brand. 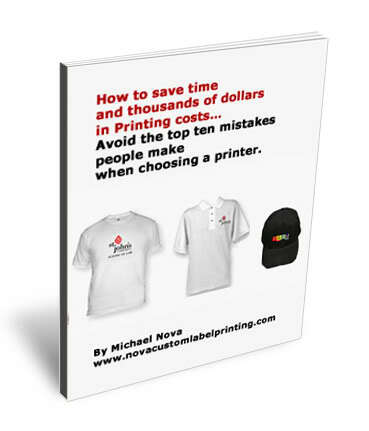 The advantages of using screen printed T-shirts as promotional tools are numerous. It is economical, it is easily produced and it makes an ad visible every time someone wears it. 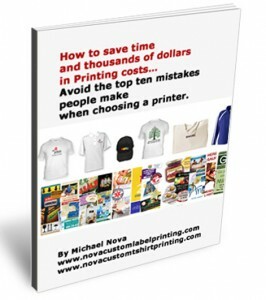 How can screen printed T-shirts help in promoting a book? Book publishers regularly use screen printed T-shirts in promoting their books. Ordered from the right t-shirt printing company, it’s an effective tool in promoting book signing events. For example, book publishers will giveaway some custom made t-shirts for his/her fans during a book launch. This will give the fans a sense of involvement during the event. It can serve as their souvenir in attending the book launch. This can also attract more people to come and witness the event. As a strategy to attract more people to come to a book launch, Publishers may give screen printed t-shirts for the first fans that will buy his/her book as an incentive. Everybody loves freebies and chances are they will spread the information to their other friends. We have to understand that Self-published books are books that are published by the authors themselves without involving any third party such as large publishing houses. While major published books on the other hand involves a major publishing company to help in selling and promoting the book. Therefore, they differ in some aspects such as having a larger budget for promotional campaigns. Self-published books have lower budgets compared to books that are published by major publishing houses. This is because self-publishing writers are on their own financially in launching a book, while major-published books get some financial support from a third party. Thus, a promotional tool such as screen printed t-shirts will be very helpful for authors who opt to self-publish their books. This tool is one of the most economical ways of promoting a product. All someone needs is a good graphics artist to create a unique and appealing design that a specific market will surely love, and place an order with a custom t shirt printing company. T-shirt designs can be a book cover, the title of a book, statements or any other unique designs. The good thing about screen printed t-shirts is that can be ordered it in bulk which is very time efficient. Furthermore, this promotional tool can also be helpful to major publishing houses in promoting their product. Given that they have a larger budget, screen printed t-shirts can be very affordable for them when buying in larger quantities. They can use it not just for book launching events, but as well as other corporate events or as prizes in their raffle promos or other advertising strategies. This can also be an avenue to remind people about the publishing company’s brand. They can put their company slogan in the design of the t-shirt as well as the company logo and the specific product that they are trying to market.